Valerie Comments: Our new hula hoop champion! Tagged with: Ace Books • damsel • Ed Valigursky • glow • gun • interpretive dance • ridiculous hat • Robert Moore Williams • Ting! Atoms out, guns out. It’s the mantra of the sleeveless society. Blue Atom (who isn’t blue but may be sad) v It Girl (who may be cute but doesn’t really have ‘it’). Shake it baby! Shake that Ting! Typical ting. You don’t see any for days and suddenly – a Tingasm. This must be why Marvel held off re-introducing Dazzler until the late 70s. She may not have “it,” but she certainly controls all—all the ting! Doesn’t his hat, which I cannot stop looking at in awe, deserve even a bit of ting? But no, Miss Greedypants won’t share. That’s one groovy-looking teleport beam! He is wearing more jewelry, if those wrist bands count as jewelry. @fred—Could be she’s wearing Space Depends®️ as incontinence is a well-known side effect of overdosing on ting. And between the bracelets and the hat (not to mention the criss-cross design sleeveless tunic and the better-fitting pants), he is way more the fashion diva! I am VERY DISAPPOINTED that the cover cuts off the rest of her shoes, because the little we can see tells me that they are fabulous. Space Rosemary is surprised since she knows that atoms are smaller than the visible wavelengths of light, and therefore they cannot be blue. The Bert I Gordon version of ‘Hawk the Slayer’. Unable to give her honest opinion on Bob’s new hat, Terri flees to another dimension. 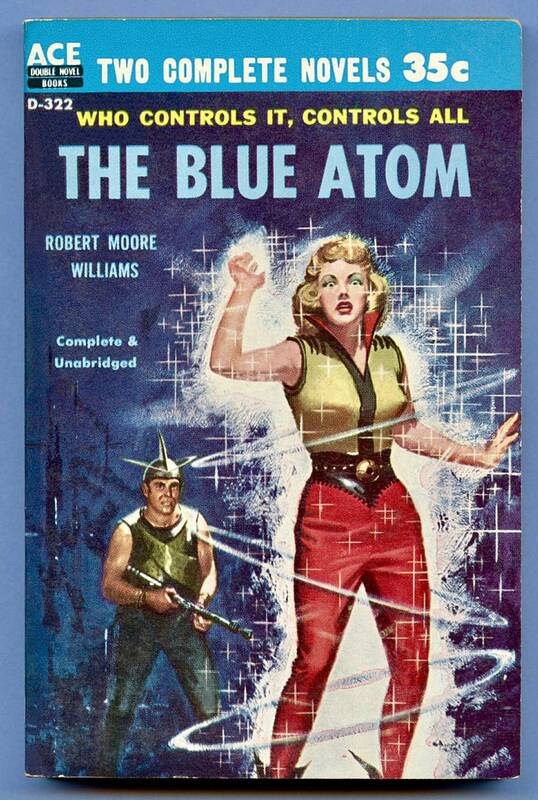 Maybe the title is referring to the blue atoms in Rosemary’s eye shadow…. @Hammy: Nah, that’s chartreuse to match her blouse. @Bruce: can you blame her?